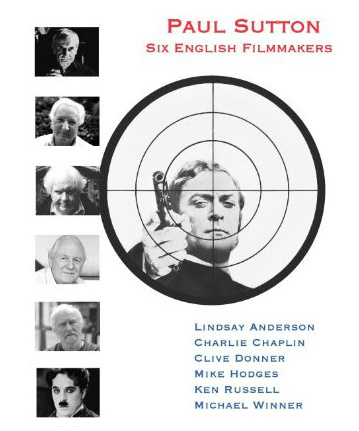 Paul Sutton’s Six English Filmmakers is full of stories, and reads as an extended love-letter to a group of directors whose reputations have suffered periodic neglect. While Mike Hodges is still alive (though seemingly retired), most of the filmmakers discussed are now dead. And, while most will agree that Charlie Chaplin is a major figure of world-historical importance, not everyone will recognize the shifting fortunes of directors like Lindsay Anderson, Clive Donner, Ken Russell, and Michael Winner. But, for those of us who have been paying attention to such filmmakers–indeed, to anybody with a specific interest in 1960s and 1970s cinema–Six English Filmmakers will be a welcome addition to the bookshelf. My own interest in director Ken Russell was partially instigated by the spotty record of publications about him. Between 1984 and 2008, the only books written about Ken were written by the man himself. With Joseph Lanza’s career assessment Phallic Frenzy: Ken Russell and His Films and my own book Ken Russell: Re-Viewing England’s Last Mannerist (2009), the tables seemed to be turning. My book was an attempt at organizing more academic interest in Russell, while Lanza’s was a narrative of Russell’s life, as told by his films. Taken together, my book and Lanza’s book have some flaws. His treatment of Russell’s films is largely limited to speculation on secondary sources (though amusing, entertaining, and sometimes profoundly funny speculation it turns out to be), while my collection of essays has all the strengths and limitations that go along with the word “academic.” Depending on who utters it and how, “academic” can be a profoundly positive word, or, at the other end of the spectrum, a slyly pejorative insult. When people call my work academic, I hope they’re being nice to me. I think that the essays in the book remain insightful and useful! 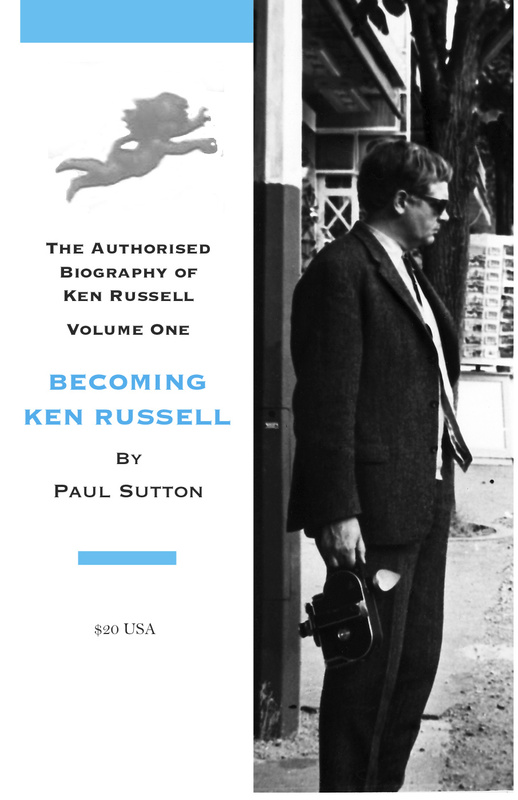 The most recent book solely focused on Ken Russell is scholarly without being hermetically “academic,” and speculative while still staying grounded in (sometimes astonishing) evidence. Paul Sutton’s Becoming Ken Russell is accomplished because it has so many relevant things to say about a period in the filmmaker’s life that has heretofore been shrouded by an historical smog, part of it lost to memory (our previous accounts of this time come almost totally from Russell, who loved to play with his autobiographical self-image, and in later years might have lost a part of his past to the natural process of aging) and the other part undiscovered because scholars, myself included, didn’t necessarily learn the right lessons from the right people.